A new Freshly Made Sketches 297 challenge! 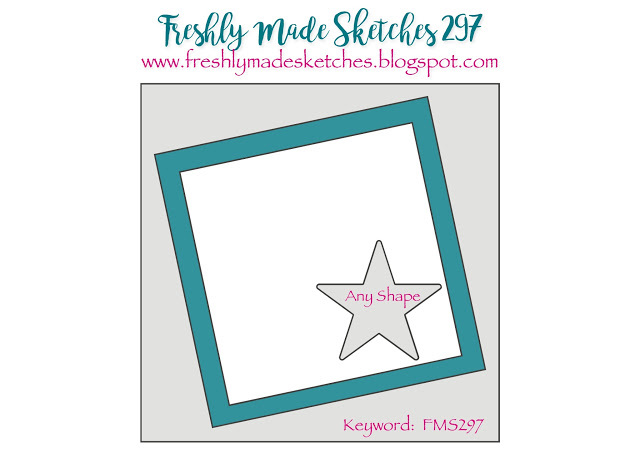 July 23, 2017 July 23, 2017 Kathleen Adams12 Comments on A new Freshly Made Sketches 297 challenge! I’m a huge fan of FaeryInk’s digital stamps and I was practicing my coloring lessons that I’ve been taking from Alyce at Kit and Clowder. This adorable “Beeyoutiful” image from FaeryInk is what I was coloring, because the hair doesn’t have a lot of lines. In the lesson I was practicing, she taught how without lines the colorist must decide where all the highlights are and also teaches a “flick” stroke when coloring to create the illusion of hair. She offers these classes for both Markers and Pencils. As I’ve said before if you are new to coloring or want to up your skills, you cannot beat the value that the coloring lessons are at Kit and Clowder. And the results you will get will make you more confident in your own projects. AND, you see these improvements right away! I am enrolled in her “Monthly Lesson” program now but you can also take single lessons too. I started with the “Skin and Hair” class when I first found Kit and Clowder. I don’t do a lot of “commercials” in my blog posts and I don’t receive commission of any kind. But when I believe a product is truly superior I want to share that. When I finished coloring I decided this Faery was the perfect image for this weeks challenge. Elizabeth Craft Designs: Buttercream Soft Finish Cardstock 12 x 12″ Peel off Stickers “Glitter Lines” black and silver. Previous A Background scene made entirely with stencils! Great job coloring! And that sentiment is fabulous! I’ve heard good things about the Kit and Clowder classes before so I’m not surprised to hear of your endorsement. Thanks for joining us at Freshly Made Sketches! Thanks so much Jen. I’m going to join the group again. I enjoy this challenge. Yes, I truly believe Kit and Clowder produce results. Jen, thank you so much. You should try a class. They really are great and inexpensive. What a “Beeyoutiful” card. Your coloring is amazing. You could be giving the lessons! What a great card! Love that image and your colouring is fantastic! Thanks for joining us this week at Freshly Made Sketches! Thank you Jen, I’ve found some time to enter again. I always enjoy your challenges. I just LOVE your gorgeous card!! Her hair is looking amazing and I love your attention to the lightsource here. It means so much to me that you enjoy the classes – I can’t thank you enough and for your lovely comments here ^_^ thank you!! Alyce, you are so welcome. I actually talked about you in a post called “An Encouragement card with Faery Ink” posted on 6/30. I was ranting a little about Kit and Clowder in that one. LOL! In fact, I hope I didn’t share too much. I’ve learned so much from you. In fact, I’m curious if this is normal, but since I’ve been taking the classes I find I don’t just look out the window without noticing where the shadows are! If that’s a normal side effect it’s a welcome one. Thanks again Alyce, for sharing your knowledge. Your coloring is wonderful! This is a fabulous card! Mmglad you shared it at FMS! Thank you Linda. I enjoy FMS challenges and will enter again.